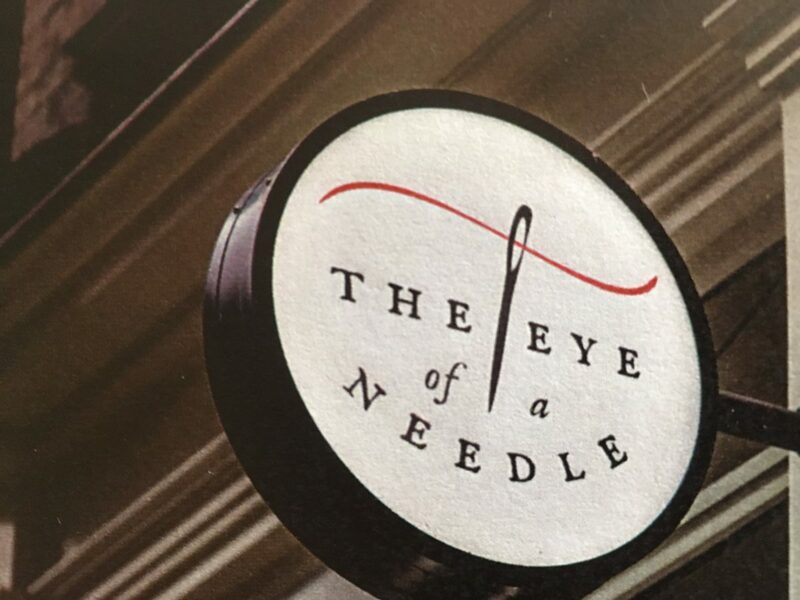 Welcome to the second newsletter from The Eye Of A Needle. Thanks to all of you who have added your name to our database. Please feel free to forward to your friends who may not be in our database yet, and encourage them to sign up so everyone can be kept up with the latest happenings in our store. It’s hard to believe we have been open three months already! Someone said in our ﬁrst week of trading that we would look back after three months and be amazed at what we have learned. They weren’t wrong! It has been a steep learning curve for us, but we are getting more conﬁdent by the day and we are really happy with the positive comments we are receiving from our customers. We plan to continue to build on what we have started, so if we don’t have a product in-store which you would like to stock, please ask – we can always try to source it. We were in Lower Hutt for the annual Bernina conference in early March, and one part of Bernina’s 125th Anniversary celebrations is the launch of the new 500 series. We have chosen the B570 Quilters Edition, and the B590 (including the Embroidery unit) as our demonstration models, which we now have in store. If you are interested in purchasing a new machine, Bernina has some great 125th anniversary specials which will be eﬀective from April 1 through until Mother’s Day. This means you may be entitled to some extra accessories to go with your new sewing machine. Come in and have a look and try some of the neat new features of the 500 series sewing machines. Any other Bernina accessories sold over this period will also be eligible for 10-20% discount. We constantly have new products arriving in store, and our fabric range is increasing weekly. A trip to the NZ gift fair is always a wonderful opportunity to source new products and a few of these have been arriving over the past few days. We now have some gift cards and some lovely products from a range called Natural Life which are what I would call ‘products which make you happy’. Come in and see! The Basic Grey ‘Grunge’ fabric has been hugely popular and we hope to have the whole range of colours eventually. Grunge has also introduced a new ‘Seeing Stars’ range which will make its way onto our shelves over the next few months. We look forward to expanding our Bella Solids range and more blenders have also been ordered to complement our range of fabrics. Many of you will be familiar with Liberty Of London ﬁne tawa lawn. Liberty has recently branched out into quilting fabric and we have a small sample of their new range to try. I’m sure if this fabric is a hit with quilters, Liberty will add more of this to their production line. We have also enlarged the choices for our Kiwiana fabrics which are hugely popular with tourists; caravan owners love our laminate fabrics which are ideal for making bags. 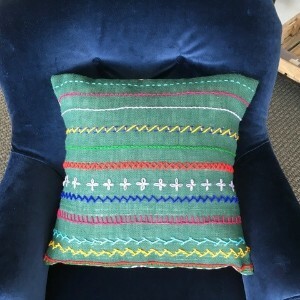 It’s always rewarding for us if customers bring in some of the cool things they have made with our fabrics. We have several bags on display at the moment which may inspire you to make your own. I am delighted to announce that our DMC thread has ﬁnally been dispatched and should arrive before Easter. There have been some shipping issues causing the delay, but we will have the full range in store very soon. We have been asked often if we stock DMC thread, so we are looking forward to providing the full range as well as some of the Cotton Pearl #8 and #5 threads for all your embroidery needs. My ﬁrst ever sewing project was learning about embroidery stitches. This class will involve stitching a range of embroidery stitches using wool onto a 50cm square of hessian (red, black, green or natural). Once the square is full of colourful stitches it will be made into a cushion. This will be a fun foundational project for those who want to learn to sew.$50 includes everything needed for this class. Numbers will be limited to 6. This is an ideal quilt for beginners as it is simply sewing 2 1/2” strips together to make your blocks. Over 10 weeks you will make up 12 x 18 inch blocks. We have used a design roll from Lynette Anderson’s fabrics to make our quilt top. 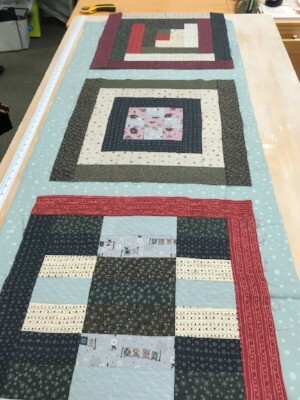 We have enough of her design rolls to make 6 quilt tops, but you could choose your own selection of 2 1/2” strips to make your own. We have a sample of this quilt top in store, so pop in and have a lookWe will supply the pattern for this class. The fee is $60 + your choice of fabric. I am a big fan of the Wonderﬁl threads. At the moment we have the Konfetti and Tutti threads on our shop stand. Barrie, who is the Wonderﬁl supplier in NZ will be taking a workshop in store on Saturday 9th June to educate us on the features of all the Wonderﬁl threads, and we hope to add to our range once we know what threads you all love the most!In this workshop you will get a kit with 15 diﬀerent threads that you will use during the day. The idea is to use threads from #8 through to the 100 weight ones and to see the diﬀerence you can get with diﬀerent weight of thread. 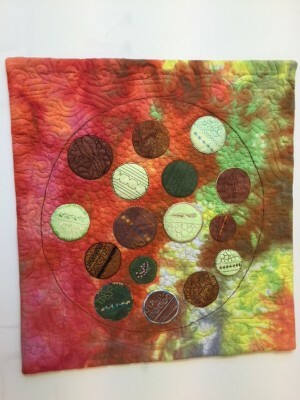 By using 15 diﬀerent threads on one quilt it ends up being a good reference tool for you in the future.You will need to bring your sewing machine and pay $65 which will cover the course fee and supplies you will need for the day. There is a maximum of 20 for this class. Registration with payment will book your spot. With cooler mornings and the nights getting darker earlier, now is a great time to sort out some sewing projects for those dreary winter days. We have lots of beautiful fabrics coming in over April, May and June, and we do hope to get more samplers out in the shop as these fabrics arrive. Facebook and like us. This way you will be right up to date with the latest deliveries. You can also check out our website at www.theeyeofaneedle.co.nz.